Authentic Murano Glass Beads encased in sparkle dust and colors. This is a Venetian Glass Glitter Bead with Large Hole. 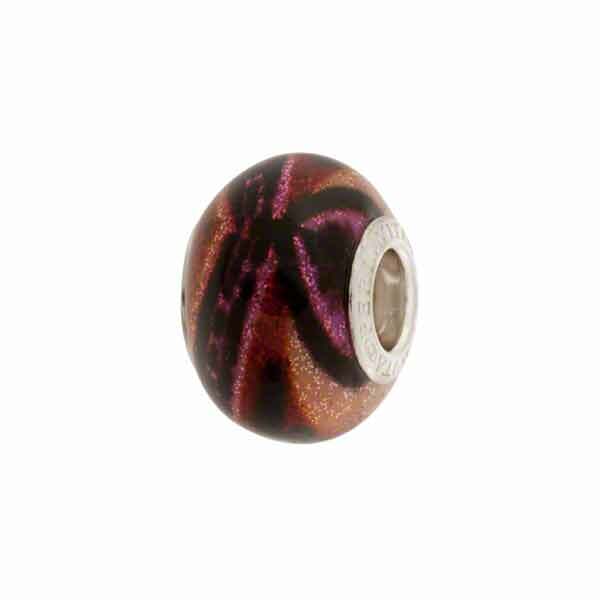 This is a Venetian Glass Glitter Bead with Large Hole. These are of our Sparkle Series and measure about 15x10mm with a 4.5mm hole. The insert in these beads is Rhodium Plated Sterling Silver. The colors in this one are a hot pink, purple and black swirl with sparkle. The pattern is completely random with no two ever exactly alike.